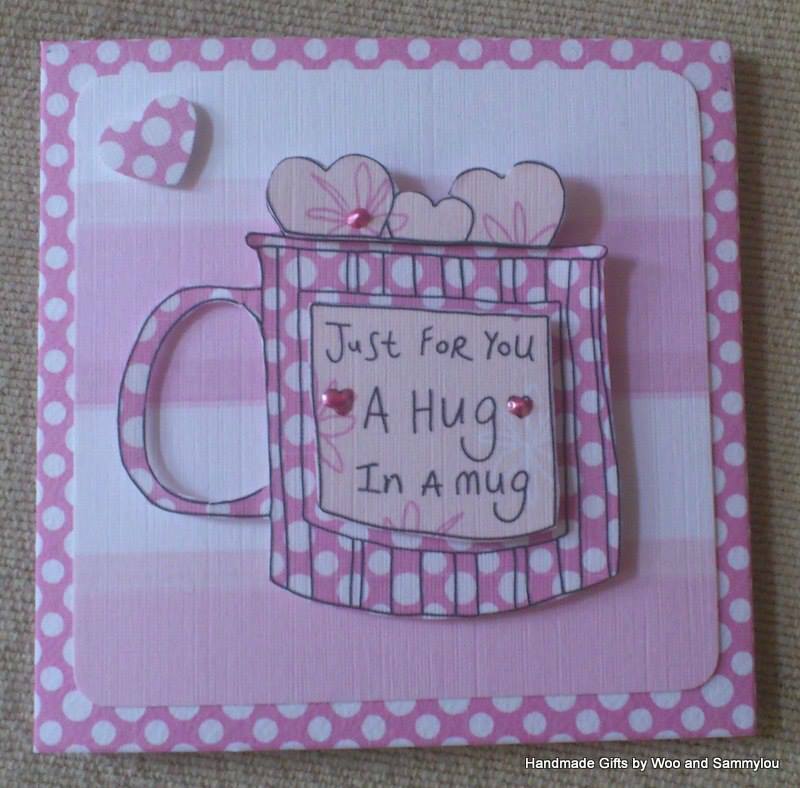 Sammylou's Adventures In Craftland: Who needs a hug? Hi :) today I am sharing two cards I made using the fabulous Summer Wedding downloads and Hug in a Mug digi stamp from Funky Hand. Not content with using them just for Wedding cards I made two cards: one for a birthday and one for a thank you. 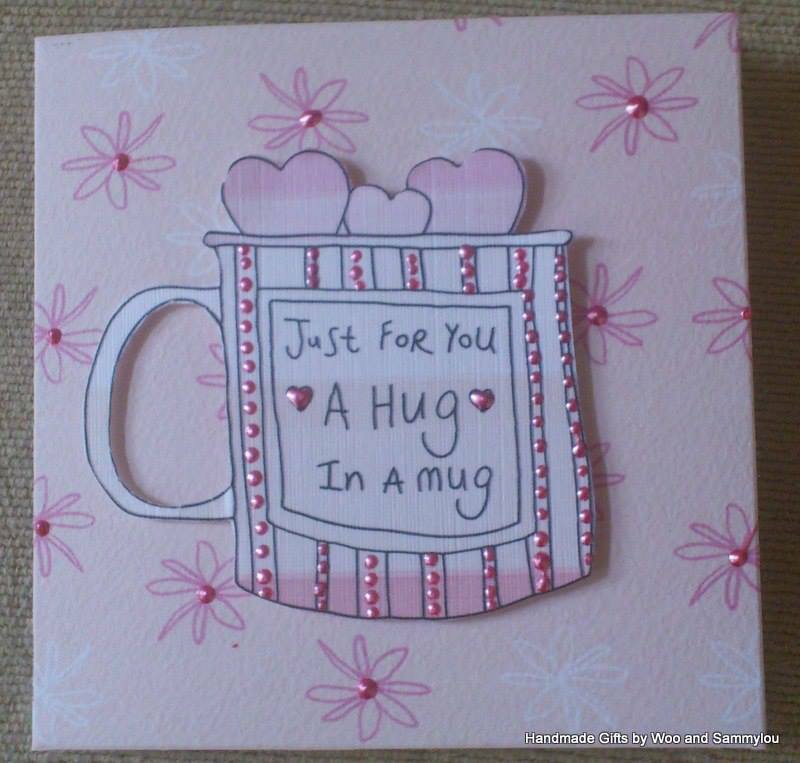 I love this digi, it's perfect for so many occasions and I can happily report that both recipients loved their cards! A quick dusting of perfect pearls and a die cut heart and they were done. I was really pleased with them. They were fairly quick to make (aside from the wait while the pearls dried) and are really effective. I will see you all soon with some more of my crafty adventures!